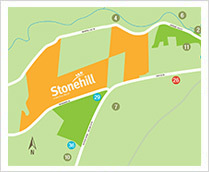 Whatever your lifestyle, Devine’s Stonehill community has the perfect house and land package to suit your needs. Whether you’re seeking a quiet, laid back lifestyle in a house with little maintenance, or a bustling, entertaining lifestyle with the house to match, Stonehill has the perfect house for you. You’ll be sure to find your dream home at Stonehill. Stonehill offers the perfect lifestyle experience for all types. Whether you’re seeking a low pace, quiet lifestyle, or a more fast pace, and entertaining lifestyle, you’ll find it at Devine’s Stonehill. Enquire online or contact a Devine consultant to discuss a house and land package perfect for your lifestyle.